Elmo’s here too! 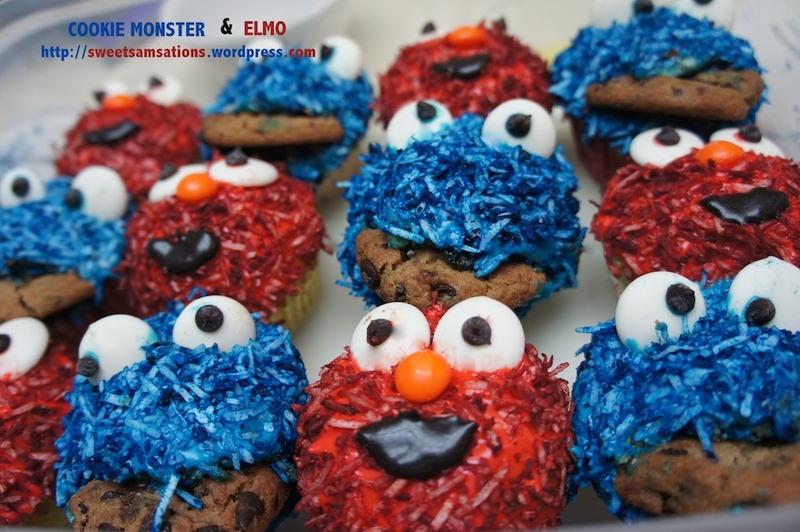 Now, who doesn’t love Cookie Monster and Elmo cupcakes? 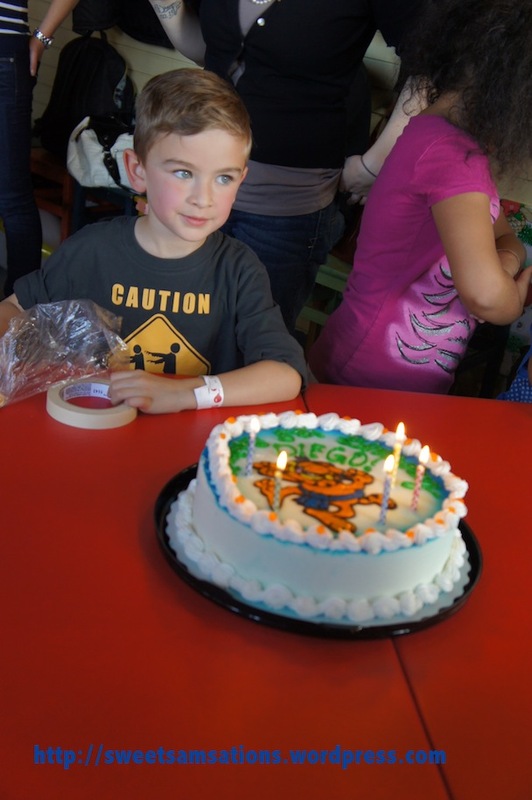 It was Diego’s birthday, and Papa Leif invited Brad and I. He had it at Kids Market on Granville Island. Apparently I was the only one confused when Brad mentioned “Kids Only Market” as the venue. 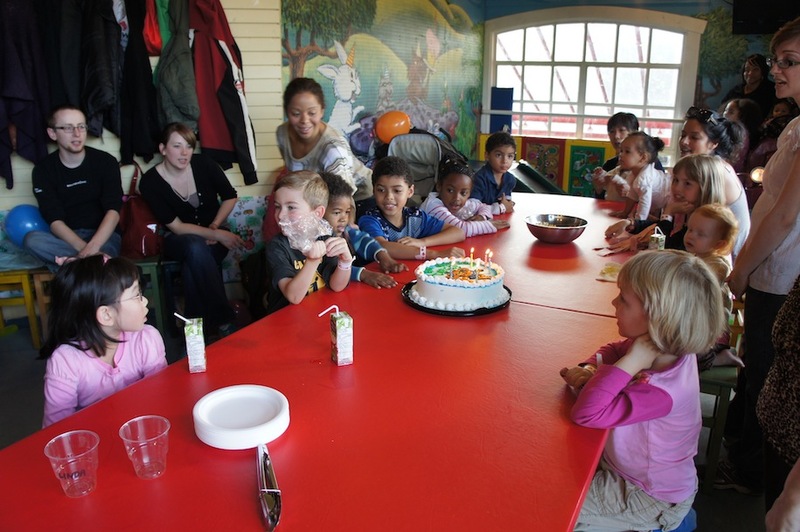 Everyone who grew up in Vancouver has had their birthdays there as a child at least once! You could say it was the equivalent of hosting a kid’s birthday party at McDonald’s. Preheat oven to 350 degrees F and line 12 cupcake liners. In the bowl beat the butter and sugar until light and fluffy. Add the eggs, one at a time, beating well after each addition. Beat in the vanilla extract. With the mixer on low speed, add the flour mixture and milk. Scrape down the sides of the bowl as needed and beat until smooth. Evenly fill the cupcake liners with the batter and bake for about 17 – 20 minutes or just until set and a toothpick inserted into a cupcake comes out clean. (Always check a few minutes before the stated baking time. Do not over bake or the cupcakes will be dry.) Remove from oven and place on a wire rack to cool. 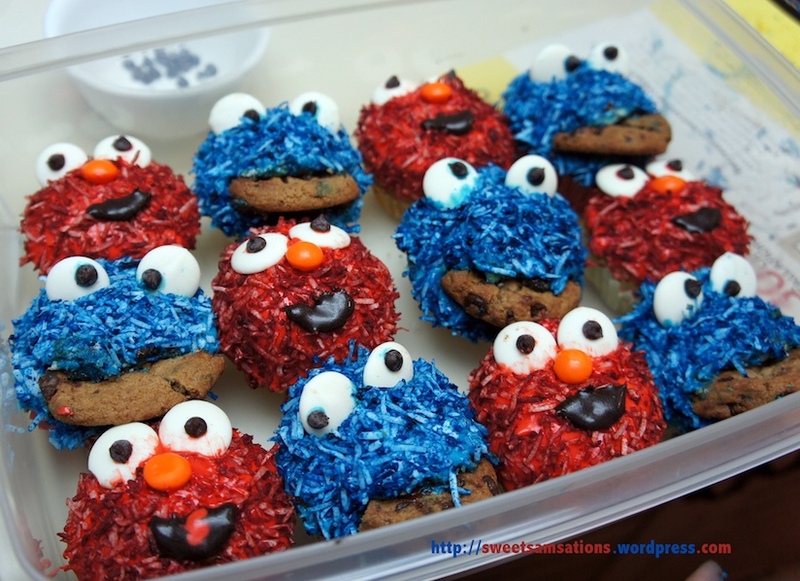 For step by step instructions with visual aid, please refer to my very first post for the Cookie Monster Cupcake! 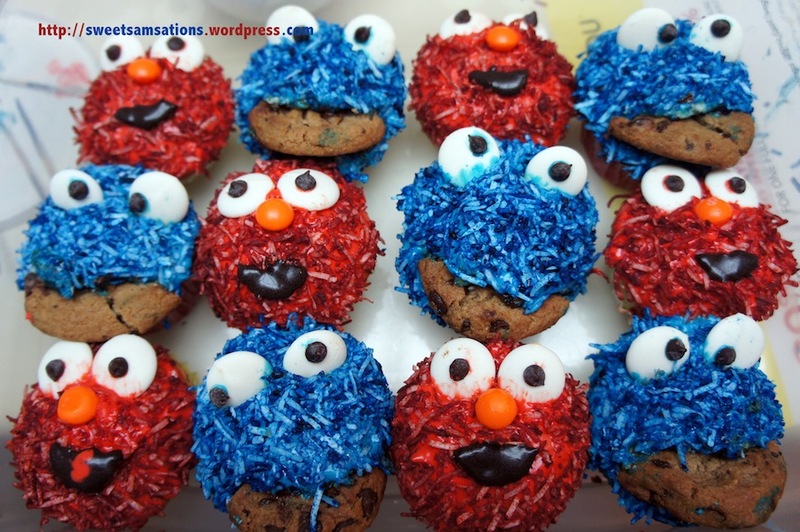 The construction of Elmo is fairly similar with the exception of the cookie and inclusion of an orange Skittle for his nose, and using brown / black dye with frosting for its mouth. How precious! 🙂 The cupcakes were a hit! Everyone thought they were absolutely adorable. 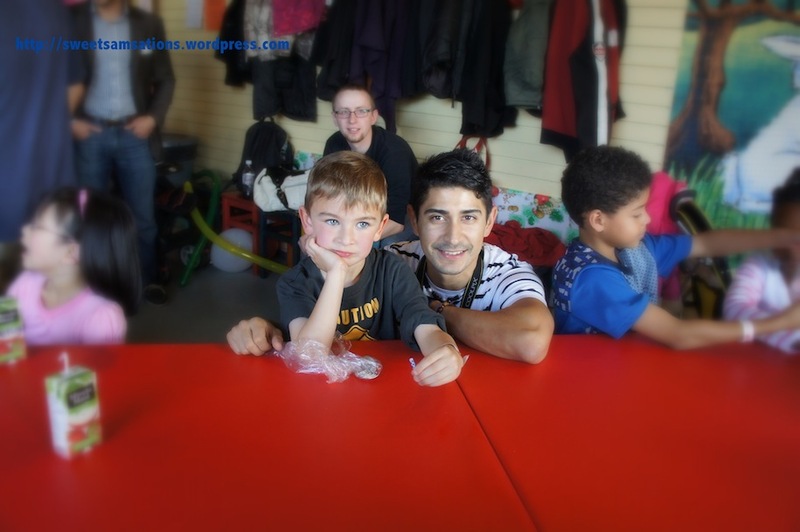 There were a lot of wows and whoas, and they were all gone almost instantly. It was funny seeing some of the parents trying to hold their temptations. 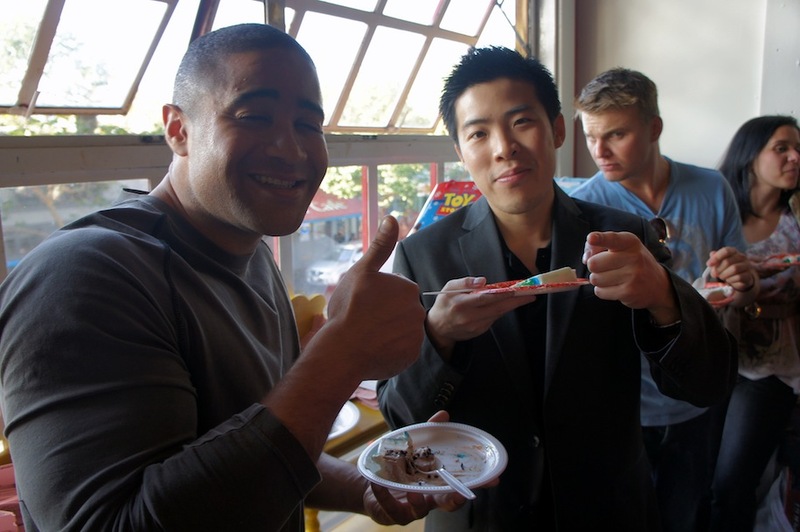 “I don’t wanna appear like a jerk in front of everyone, eating the cupcakes before the kids will have a chance to. But they do look so good!” said one of them. hehehe.. if i were to make it again, I’ll save one for you so you won’t have to go through that! OMGGGG ELMO!!!!!! AND THE SONG!!! hahaahah i LOVE this sammie! hehe.. i knew you would Natzie!! You’re an Elmo girl! I can’t stop playing that song on Youtube. It’s so cuuute! !